An admiral stakes a territorial claim—and it looks like there’s more to come. ‘The Arctic belongs to all the people around the world as no nation has sovereignty over it.’ So said Chinese Rear Admiral Yin Zhuo, in comments relayed by the official China News Service on March 5 that essentially staked Beijing’s claim to the North Pole. Of course, China, lacking an Arctic coast, has no recognizable right to any portion of the roof of the world. The five Arctic littoral states—Canada, Denmark, Norway, Russia and the United States—do, however, and their overlapping claims remain unresolved. This all means that Admiral Yin’s statement has put China in the game, as he has effectively challenged all five nations. And not only has Yin staked a claim in the Arctic—it’s clear he wants China’s stake there to be significant. 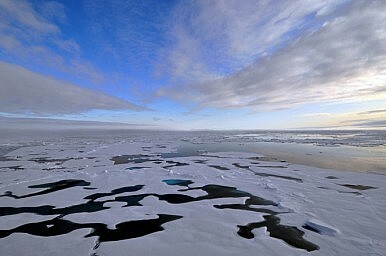 ‘China must play an indispensable role in Arctic exploration as we have one-fifth of the world’s population,’ he argued. In just a few words, the good admiral has upended commonly accepted notions about Beijing’s intentions in the Arctic. ‘To date China has adopted a wait-and-see approach to Arctic developments, wary that active overtures would cause alarm in other countries due to China’s size and status as a rising global power,’ Linda Jakobson wrote in a report issued by the Stockholm International Peace Research Institute on March 1. As a result, Chinese officials had become ‘very cautious’ in publicizing their views. Well, they were cautious—but apparently not anymore. The turnaround in attitudes is striking, especially because the People’s Republic, since its founding, had based its foreign policies on the bedrock of noninterference in the affairs of other nations, a concept embodied in the Five Principles of Peaceful Coexistence. So, when Jakobson wrote ‘China’s insistence on respect for sovereignty as a guiding principle of international relations deters it from questioning the territorial rights of Arctic states,’ she seemed on firm ground. Many other countries? Make that 190 of them, to be exact. It would seem that all but the five Arctic littoral states would have an interest in joining China in demanding a share in the riches of the world’s roof. Yin could become the voice of the non-Arctic nations.